Lions, leopards, wild buffaloes, rhinos, and crocodiles are indiscriminately hunted down by hunters in many African countries today. For centuries, Lions such as this one on the Tanzanian Serengeti, have been some of the most highly sought game trophies. African wildlife continue to face threats of extinction as a result of hunting. Despite the efforts of the various government agencies, environmentalists, and African wildlife authorities to conserve wildlife, the hunting continues. Some of the top species at risk of being hunted to extinction include the lions, elephants, Leopards, Buffaloes, black rhinos, and the crocodiles. Most of these animals are found in Africa’s grassland areas such as parks. 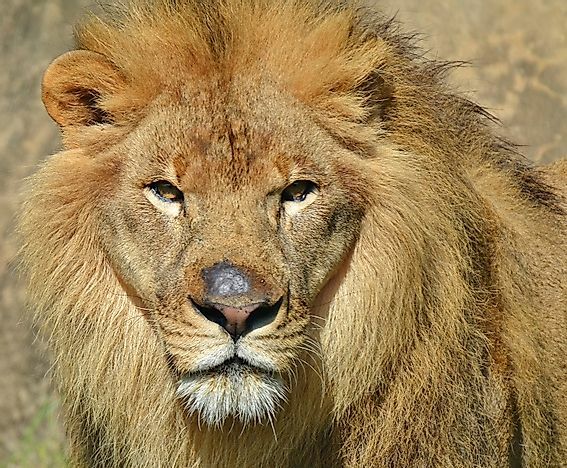 Lions are popular in West Africa countries, elephants and black rhino are mainly popular in Botswana, Kenya, Tanzania, Zambia and South Africa. Leopards are primarily found in North Africa while crocodiles and buffaloes are found throughout tropical Africa. Wildlife hunting is common for various reasons in Africa, with different species of animals being hunted for various reasons. Lions, black rhinos, and leopards which are killed in high numbers in Tanzania, Botswana, Zambia and Zimbabwe, are mainly hunted for the trophy purpose. Most of the lions and leopards killed in Africa are for sports and are mostly killed by foreigners. Elephant killing is primarily for its tusk. Elephant’s tusk is mainly used to make ornaments and other artifacts making its demand so high, especially in East. Botswana reports the largest number of elephants hunted each year. Buffaloes are hunted mainly for their meat and hides that are used in making leather products. Crocodiles are also killed for sports mostly in Tanzania and Mozambique. However, most of the crocodiles are hunted because of the threats they pose to water users. Adverse effects of hunting these animals outweigh any benefits. Hunting has been considered the best alternative to dealing with human-wildlife conflict. Hunting down of these dangerous species especial lions, crocodiles, and leopards have also been considered as ways of protecting communities who are at risk of being attacked and killed by these animals. Hunters with licenses contribute to revenue growth since they pay hunting fee to the government. However, environmentalist and wildlife authorities have warned that killing of these species threatens their existence. These species have reduced significantly in the last five decades. Black rhinos are listed in the International Union for the Conservation of Nature's (IUCN) Red List of Threatened Species in 2016 as "critically endangered", and it has been listed as such since 2000. Lions are listed as vulnerable, and their population trend is decreasing rapidly in all countries in Africa. The Leopards are in the list as near threatened status and are vulnerable, and Elephants are of the vulnerable status though their population trend is now increasing. The Buffaloes and the Nile Crocodiles enjoy a lower risk status, and the crocodiles are least concerned, but the Buffaloes are dependent on conservation. The tourism sector is the most affected by hunting, with the number of these species diminishing, there is nothing more to attract tourist. Communities that depend on these species for tourist attraction are at risk of losing economic gains from tourism. Hunting laws in Africa are meant to protect the endangered species in the continents. Different countries have set up hunting laws in their countries that apply to both locals and foreigners. In Zimbabwe, Park and Wildlife Act of 1975 established wildlife protection area and gives park management powers to regulate wildlife activities. Other common laws include wildlife protection acts that outline wildlife conservation requirements, penalties for illegal hunting and wildlife protected areas. If hunting of these species is not regulated or discouraged, then the animals face the possibility of extinction. Wildlife authorities need to improve on surveillance to reduce illegal hunting in the parks. Legislation and laws should be tightened to ensure maximum penalty for illegal hunters. The market for animal trophies and tasks should be banned to discourage further hunting. Community awareness on the importance of wildlife conservation should be conducted for the communities living around parks wildlife habitat. Where do Hunting Trophies Come From? ​Disappearing Tuvalu: First Modern Nation to Drown?